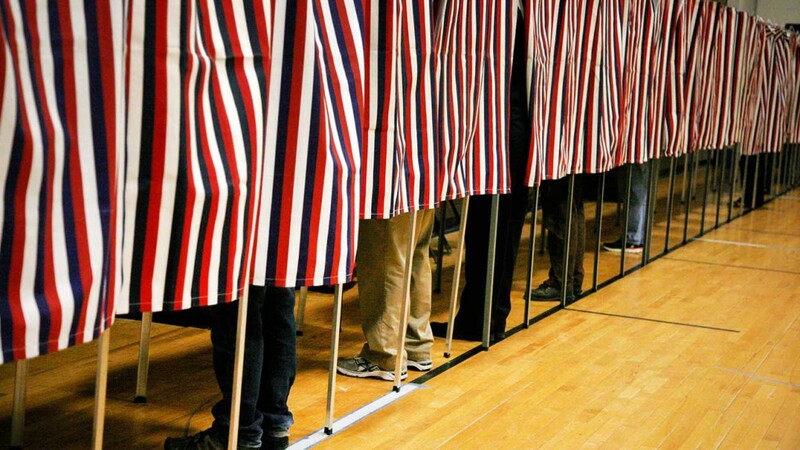 What do Austin, Portland, Seattle and Charlotte have in common? Centers for advanced liberal thought? Not quite. Those cities made the list of “10 Best Cities for Urban Forests” compiled by the conservation group, American Forests. It’s probably not a surprise to most who know Charlotte. 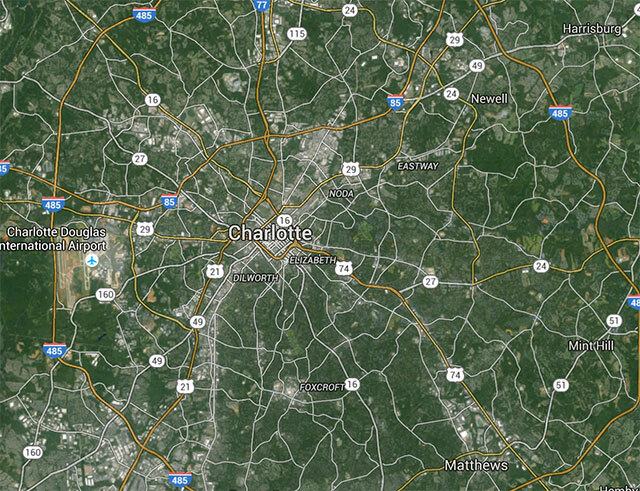 Look at a satellite view on Google maps, and the city looks like a small town with a few major commercial corridors. The rest of the city – the majority of its square miles – looks like forest with little if any development. Zoom in and you finally see that almost all of our subdivisions and roads are hidden by trees. Our lush canopy is one of the only natural claims to fame Charlotte has. Most cities have ports or major rivers running through. Charlotte has its trees, and lots of them. It makes me wonder if our city’s nickname, the Queen City, should be changed to the “City of Trees” or something along those lines. Yes, other cities can claim nicknames like “the Arbor City” or “City of Trees,” but then again, we’re not the only “Queen City.” Cincinnati also calls itself the Queen City. Changing the nickname of our city is a topic for another day. 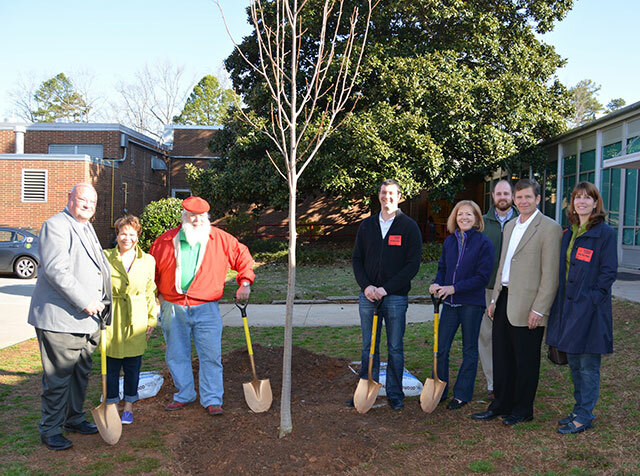 Today, I want to celebrate Charlotte’s most unique natural claim to fame – our wonderful trees. What good do trees do? Turns out, an awful lot. Studies have shown that trees can reduce incidents of violent and property crime in a city. Trees also help curtail energy costs, create better air and water quality, keep soil from eroding and shade our homes. And dang it, they’re just nice to have around. 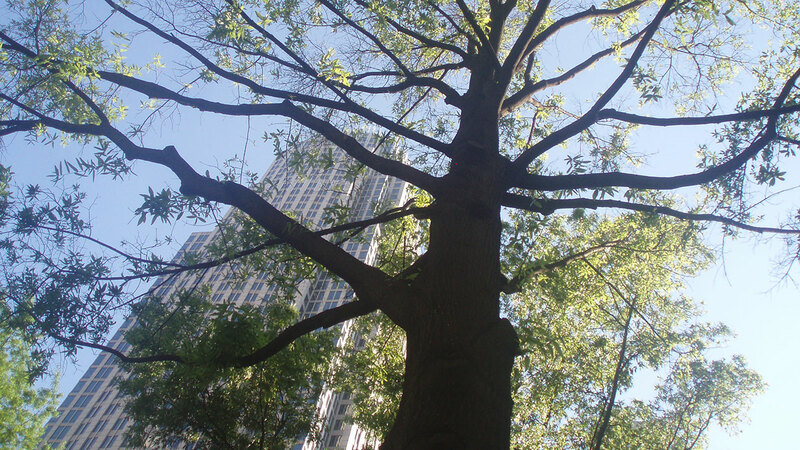 What makes Charlotte a great tree city? Let’s count the ways. 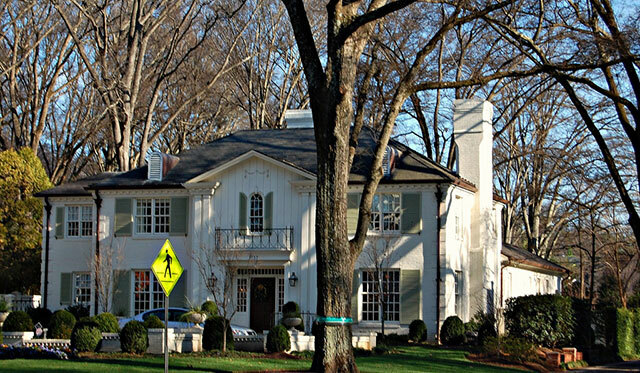 (1) Trees Charlotte is an awesome nonprofit organization that seeks to help the city achieve the City Council’s official 50 percent canopy goal by 2050. The group’s mission is to protect “tree loss from development, protect its forests and native species, and create new green space.” Charlotte’s current tree canopy is estimated at 46 percent. (3) The city of Charlotte has a team of arborists that help to ensure the health of Charlotte’s trees. 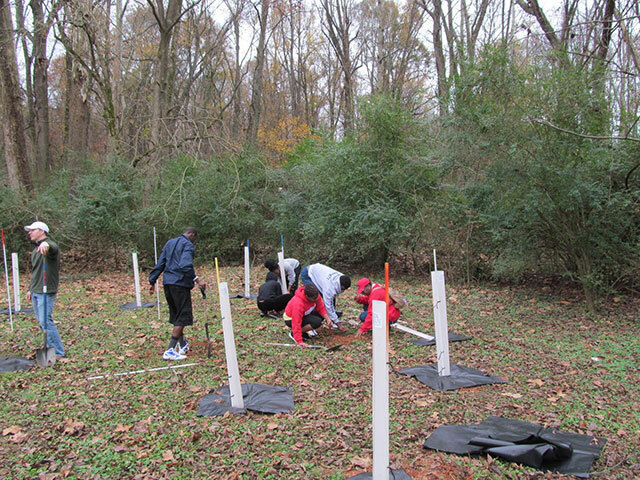 (5) There are 215 tree species managed by Charlotte. The willow oak (many of the large trees you see in Myers Park) and crape myrtle are the most prevalent. (6) We have 180,000 publicly managed trees, about one for every four residents. (7) Some trees in Myers Park, Dilworth and Elizabeth are more than 100 years old. (8) We don’t mind tree banding to protect against cankerworms. 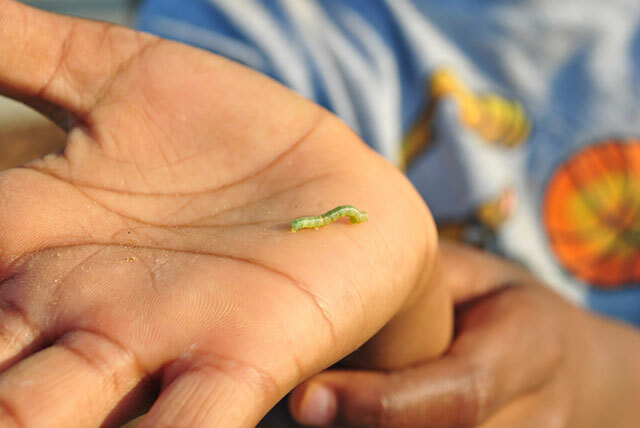 (9) In 2008, we put up with an aerial spray to ward off the pesky cankerworms. (10) You can get a bird’s eye view of our trees by taking a canopy tour at the U.S. National Whitewater Center. 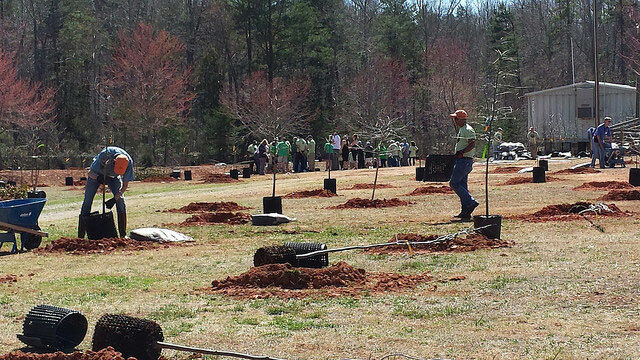 (11) Mecklenburg County has 16 trees designated as “Champion Trees” by the North Carolina Forest Service. See the complete list. 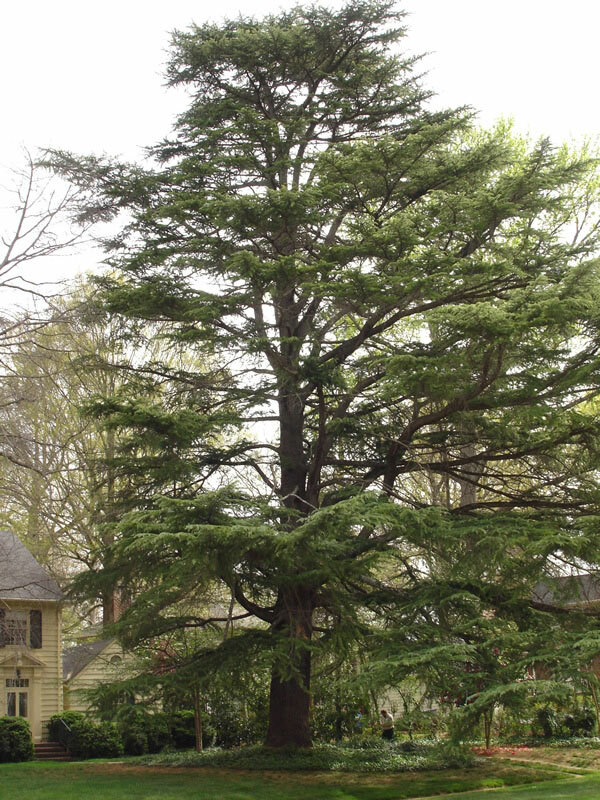 (12) The tallest of the champion trees in Mecklenburg County is owned by Richard Ferguson – a 96-feet-tall deodar cedar. The tallest street trees in the county reach a little more than 100 feet tall.